It's generally pretty expensive to stay here, but you can still find some great cheap hotels in San Francisco. Below is a list of recommendations for hotels with rooms starting at $100 or less, $150 or less, and $200 or less. Every SF lodging option on my list is highly rated by its guests and offers a clean environment. At the same time, each one has a reason why it's less expensive (for example, few amenities, location, or shared bathrooms). Make sure you read the details below carefully, so you know what to expect from each of these cheap hotels in San Francisco. All of the cheap hotels in San Francisco on this list have at least some rooms starting at or under $100 a night. I think this is one of the best cheap hotels in San Francisco. It's highly rated, in the cute Alamo Square neighborhood, and close to several transit options. While it is light on amenities, it's a great place to stay if you want to see how the locals live. This hotel was rated as a "Best Value" hotel by CitySearch and was featured in the National Geographic Traveler Magazine. Why is it so cheap? Very few amenities. This is a small, locally owned hotel, so there are not a lot of frills. The front rooms face a semi-busy street and can be a bit noisy. It's also not in the heart of the tourist areas, but there are several public transportation options. Perfect for: Anyone who wants a real San Francisco experience the minute they step outside their door. Anyone who doesn't mind taking public transit to get around the city. Those who don't need a lot of fancy, modern amenities. Other tips: There are several great restaurants and bars within a few blocks of this hotel, so make sure you take some time checking them out. Many of them are right on Divisadero Street. If you love seafood, then you need to visit the Alamo Square Seafood Grill. Little Star Pizza is also a local favorite and one of the best deep dish pizza places in the city (their thin crust is also delicious). The restaurant on the ground floor next to the hotel lobby has yummy Italian food, and you can find cheap beers at the Bean Bag Cafe about three blocks north of the hotel. 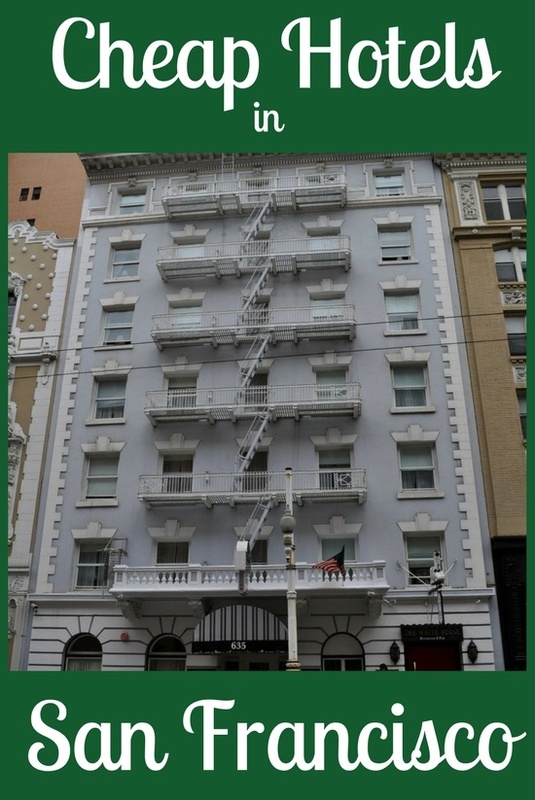 You'll find the 325 Sutter Hotel in the city center just a few blocks from Union Square and Chinatown. This 2.5-star hotel offers free high-speed internet access and TVs. Why is it so cheap? Shared bathrooms. This hotel offers both shared and private bathrooms, but the best deal is for rooms with a shared bathroom. Perfect for: Guests who don't spend much time in their room and aren't too concerned with amenities. They do have free high speed internet access, but that's about it. It's also perfect for anyone that wants to be in the heart of the action, but is still looking for one of the best cheap hotels in San Francisco with a clean, friendly environment. Other tips: Don't stay here if you have a car. There is a parking garage, but it's a couple of blocks away and will cost you anywhere from $35 to $40 a day. Driving in Union Square and/or downtown San Francisco is also difficult if you aren't used to the traffic. If you can, leave the car at home and get familiar with SF's great public transit system. The Ocean Park Motel is a charming art deco beauty. 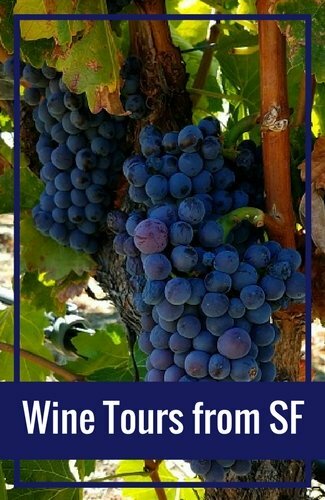 It's a hidden gem just steps from the Pacific Ocean and the San Francisco Zoo. This historic 1930s motel has free parking and free Wifi, and allows dogs. 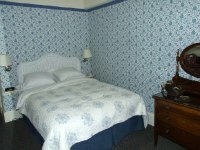 It's a great find if you are looking for one of the quiet, cheap hotels in San Francisco that is away from the action. Why is it so cheap? Location. This motel is clean and affordable, but a bit out of the way. It's by the ocean, so it will take about 30 to 35 minutes to get to downtown SF via the L-Taraval streetcar. It's also in the fog belt, so it gets very little sunshine during the summer months. Internet is free, but the signal is sometimes hard to reach in some of the rooms. 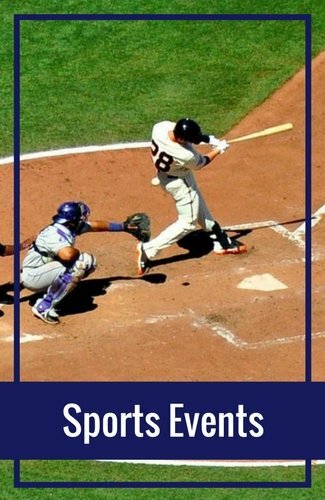 Perfect for: Anyone looking to get away from the chaos of the city to enjoy time at the ocean, the SF Zoo, or Golden Gate Park. 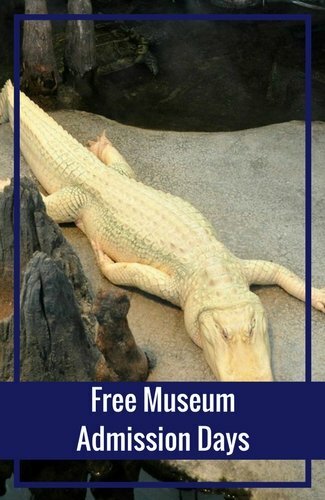 It's also perfect for those who plan on driving, since parking here is free! Other tips: If you are a light sleeper, ask for a room in the back. The L-Taraval streetcar runs right next to the hotel, which is a great way to get downtown quickly, but not great if you are a light sleeper. This is one of the few cheap hotels in San Francisco with a full kitchen. Ask for a room with a kitchen ($10 - $25 more per night) if you plan on making meals. You will also find several places to grab dinner and/or a drink within walking distance. My favorites include Brother's Pizza, Old Mandarin Islamic (spicy Chinese food), and John's Ocean Beach Cafe (a hearty breakfast/brunch option). Read recent guest reviews and find the best prices for these cheap hotels in San Francisco on TripAdvisor. 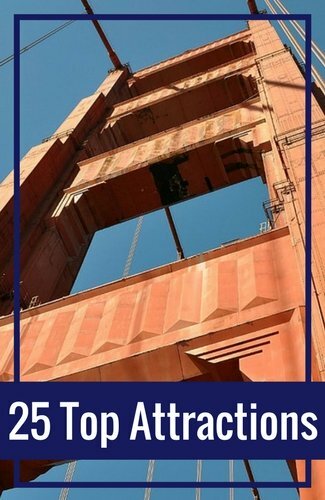 If you are able to add just a little to your budget, then you will want to check out the cheap hotels in San Francisco on this list. 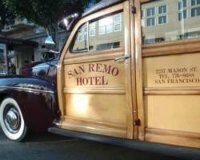 The San Remo Hotel is a European-style pension hotel. This is another one of the cheap hotels in San Francisco that offers clean, budget friendly accommodations with shared baths in a great central location. Why is it so cheap? Shared bathrooms and low tech. None of the rooms at the San Remo Hotel have private bathrooms. This allows it to offer good rooms at a decent price. Even though they are shared bathrooms, they are cleaned meticulously every day. Rooms also do not include phones or TVs. Perfect for: Couples or solo travelers looking for a low key hotel experience. It's also great if you are traveling without a car and want easy access to Fisherman's Wharf, North Beach, and other busy SF neighborhoods. Other tips: Even though they don't have parking, there is a reasonably priced parking lot just a block away. Ask at the front desk for directions when you arrive. Also, ask for a room with a sink, so you can at least brush your teeth in your own room. Only some of the rooms have windows, so you will need to request a room with a window if you love checking out the weather when you first wake up. The Coventry Motor Inn is another affordable option in San Francisco. It's on the northern side of town in the Marina District. This 2.5-star motel offers free parking and free high speed internet access. You can choose from a room with one king, two queens, or two double beds. Each room also has a small area where you can work. Guests rave about the size of the rooms and the cleanliness of this motel. Why is it so cheap? Few amenities/location. There is no restaurant, bar, or fitness center on site. The hotel is located on a busy street. 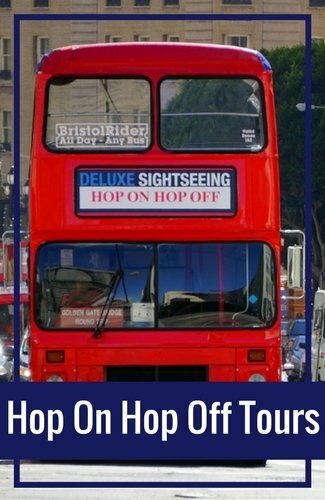 It's not right in the heart of the tourist attractions, but most are a quick bus ride away. Perfect for: Anyone who has a car and is on a budget. You cannot beat the free parking at this hotel, and for the price of the rooms, it's a steal! Other tips: Even though there is no restaurant or bar on site, this hotel is right next to a number of restaurants and bars. 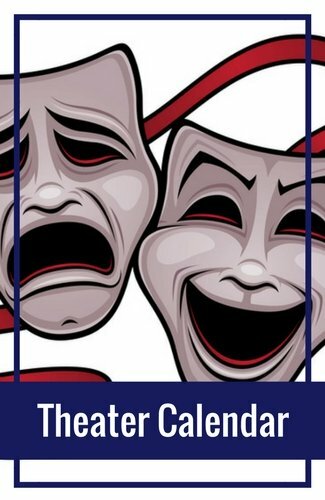 Head two blocks north to Union Street or one block south to Chestnut Street and you will find your pick of places to eat or grab a drink. If you are a light sleeper, request a room that is away from Lombard Street. Read recent guest reviews and find the best prices for these hotels on TripAdvisor. The location of this three-star hotel is excellent. It's right across the street from Chinatown's Dragon Gate and close walking distance to both Union Square and the Financial District. This cheap SF hotel was formerly the two-star Baldwin Hotel, but has since made some upgrades. The rooms are still basic and small, but they are clean and feature comfy beds. Why is it so cheap? Few amenities and street noise. The biggest reason the rates here are affordable is that this hotel offers very basic amenities and small rooms. As it's located in the heart of all the action, the loud street noise can also be heard inside the rooms from the lower level front-facing rooms. Perfect for: Tourists who want to be close to the action and don't plan to spend too much time in their room. Other tips: If you are a light sleeper, request a room in the back or on a higher floor. You will still hear some of the noises of the city, but it is a little quieter here. The rooms have ceiling fans rather than air conditioning, but this usually isn't a problem as San Francisco is cool all year around. 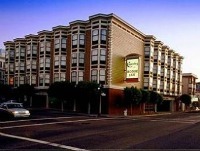 Another great find for cheap hotels in San Francisco is the Golden Gate Hotel. 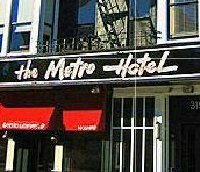 This hotel is in the Lower Nob Hill area, just a few blocks away from Union Square. Included with the room price is a basic breakfast of pastries, juice, and coffee. They also offer their guests afternoon cookies and tea. This is a pet-friendly hotel that also offers free Wifi. Why is it so cheap? Older hotel and some shared baths. While the rooms are clean, the hotel itself is a little older, especially the elevator, which you can hear running from the adjacent rooms. The rooms are small, and many of them have shared bathrooms (the cheaper option), though private bathrooms are available. Perfect for: Couples that don't plan on spending much time in the room, and anyone wanting to be close to the action, but okay with walking a little or taking public transit. Other tips: The Wifi is free, but is spotty on the upper floors. If you need reliable internet connection during your stay, request a lower room or look at other hotel options on this list. There is also a cat that has free reign of the hotel. If you are allergic to cats, then you will want to look at alternative hotels. Youth Hostels: Are you looking for even more cheap hotels in San Francisco? If so, check out this list of my five favorite youth hostels in the city. On this page, you will also find a downloadable comparison chart to help you select the right one for your visit. Union Square Hotels: Want to find other options in Union Square? If you didn't find a hotel that fits your needs above and are staying in Union Square, then check out these hotels. The price ranges vary, but they are some of the best in this popular neighborhood. Downtown Hotels: There are also a number of other hotels near Union Square in downtown San Francisco. Most of these are larger hotels and the prices vary. These are great for both business travelers and those heading to San Francisco on vacation. Fisherman's Wharf Hotels: If you want to stay closer to Pier 39 and Fisherman's Wharf, then check out these recommendations. There are a number of hotels in this neighborhood and these are some of the best. Visit Alcatraz: Already booked your ticket to Alcatraz? Find some great tips to help you prepare for your trip. What should you wear? How long is the ferry ride? How long does the tour last? Find answers to these questions and more. Attractions By Neighborhood: There are so many things to do in San Francisco. This guide helps you discover the attractions located in each neighborhood. 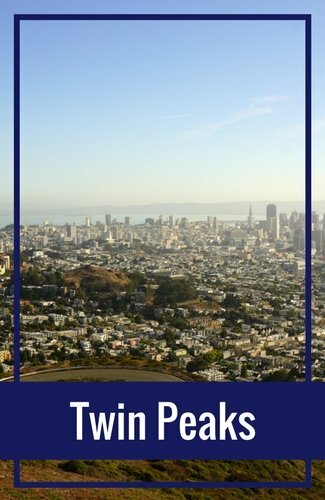 From Chinatown to the Marina, this page is packed full of great information on what each SF district has to offer. *Hotel rates vary based on number of nights, time of year, and day of week. Before booking, please confirm current pricing to ensure accuracy. Starting prices do not include taxes or other hotel fees.